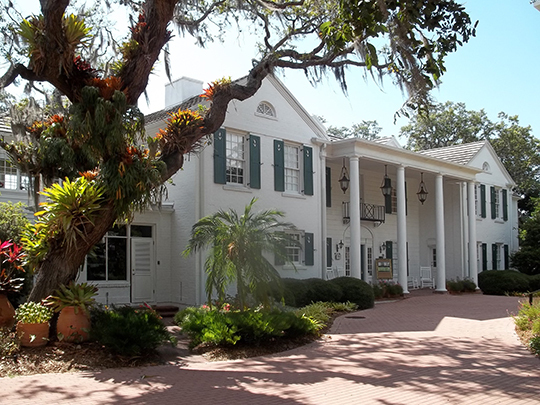 Photo: Christy Payne Mansion, 800 South Palm Avenue, Sarasota, FL. Listed on the National Register of Historic Places in 1998. Photographed by User:Ebyabe (own work), 2011, [cc-by-3.0 (creativecommons.org/licenses/by/3.0)], via Wikimedia Commons, accessed February, 2014. Sarasota County administrative offices are located at 1660 Ringling Boulevard, Sarasota, FL 34236; phone: 941-861-5000. While there are many variations on the origin of the name Sarasota, they range from the speculative to the fanciful, with none being authoritative.